Good morning and thank you for the opportunity to discuss the Taxpayer Protection Act and the idea of tax and spending limits in New Mexico with you. Most of you are familiar with the Rio Grande Foundation, but for those of you who are not, we are New Mexico’s free market think tank. We research and write on a wide array of public policy issues from the perspective of limiting government at both the state and local levels here in New Mexico. We do not come to this position randomly or simply to fill a niche, but because thousands of years of experience and hundreds of years of study and analysis going back at least to the time of Adam Smith have shown that governments, and by extension elected officials, are less efficient at allocating scarce resources than are the individuals who earned the money in the first place. 2. You purchase an item for someone else. Under this type of arrangement, the purchaser is able to maintain cost control, but has inadequate information about what the other party wants. As anyone who has ever purchased a Christmas or birthday present knows, figuring out what people want is a challenge! 3. Someone else purchases what they want and you pay for it. Under such a plan, the person making the purchase will probably get what they want, but may not have the regard for price they otherwise would. 4. An individual purchases something for someone else with someone else’s money. Under these circumstances, an individual or group of individuals is buying something for someone whose exact needs they are unaware of and with money that they have fewer incentives to be cautious with. This is the least efficient model and it also happens to describe the way in which government operates. While we all like to think that each of us are as responsible with the resources of others as we are with our own, the fact is that even when done with the best of intentions, this is not always possible. That is why the Rio Grande Foundation’s philosophy is that when possible, individuals should maintain control over the resources they produce. This is why the Taxpayer Protection Act is so important for New Mexico. The Act would amend New Mexico’s constitution to limit spending growth to 3.6 percent plus the rate of population growth in the state. In the event of a surplus, 60 percent of the unspent revenue would be deposited in the severance tax permanent fund with the other 40 percent returned to New Mexicans in the form of a rebate. According to Rio Grande Foundation research, if it had been in place since FY 1989, the Taxpayer Protection Act would have resulted in $660 million being refunded to the taxpayers and an additional $990 million being deposited in the state’s permanent fund. Better still from a governance perspective, rather than growing in fits and starts with the economy as a whole and volatile oil and gas revenues, New Mexico’s budget would have grown at a steady but sustainable rate over the years. I know that many of you are concerned about Colorado and its supposedly negative experience with its Taxpayers’ Bill of Rights and I will address that later in my testimony, but first I want to assure you that you are not alone in considering spending limits. According to the National Conference of State Legislators, 30 states operate under some kind of tax or expenditure limitation. In 16 of the states that demand a supermajority – that is greater than a 50% plus 1 vote of the legislature in order to raise taxes – vote requirements range from two-thirds to three-quarters of each legislative body. States that require a supermajority to raise any or all taxes include: Arizona, Arkansas, California, Colorado, Delaware, Florida, Kentucky, Louisiana, Michigan, Mississippi, Missouri, Nevada, Oklahoma, Oregon, South Dakota, and Washington. The 14 states that limit taxes and spending primarily by means other than a supermajority use a wide variety of tools to achieve varying levels of tax and/or spending restraint. Colorado’s Taxpayers’ Bill of Rights is the best-known, most all-encompassing, and strictest of these other means of limiting taxes and spending. If you believe, like we do, that individuals can by and large spend their own money more effectively than the government, then, far from avoiding Colorado’s so-called mistakes, the New Mexico should consider the success Colorado has experienced under its strict tax and spending limit. First and foremost, according to the Bureau of Economic Analysis, average annual per capita personal income in Colorado was $39,000 as compared to New Mexico where the average is below $30,000. In 1992, the year in which the Taxpayer Bill of Rights was enacted, the average personal income of Coloradoans was 17th-highest in the nation. Today, Colorado ranks 8th nationally in personal income levels; the greatest jump of any state over that time. Far from being detrimental, Colorado’s constitutional tax and spending limit has helped raise personal incomes and reduce poverty at the same time. In 2005, voters narrowly approved a measure to allow the state to spend more money than the inflation plus population rate called for under the limit. That said, it is important to point out that voters still have the final say over any and all tax increases. All of this does not mean the Taxpayer Protection Act being discussed today attempts to copy Colorado’s legislation. I defend Colorado because its comprehensive tax and expenditure limit was the best, most strict limit in the nation. · Colorado’s act demands voter approval for any and all tax increases at both the state and local levels. The Taxpayer Protection Act does not address local government spending and does not require voter approval for tax increases. 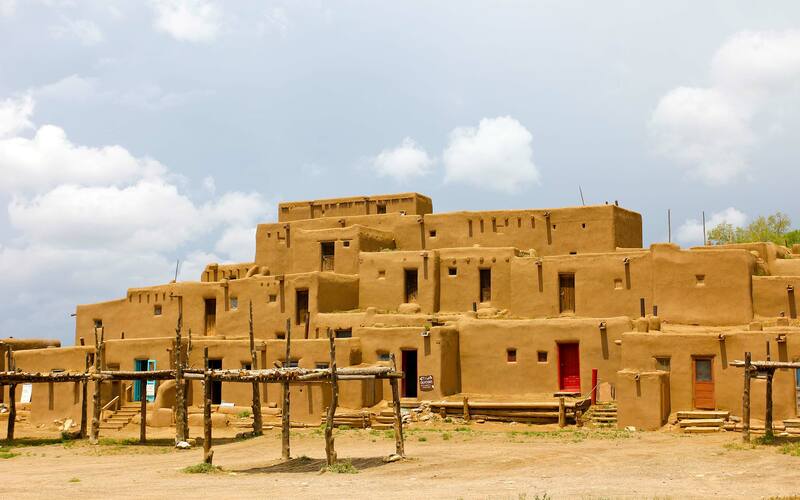 We at the Rio Grande Foundation are supportive of this effort to limit taxes and spending in New Mexico. I think it is sufficiently clear that what we are trying to do here is not to “import” a Colorado law, but to promote an idea that has become popular nationwide having been adopted in some form or another in two-thirds of all states in the country. The Taxpayer Protection Act would ensure that unsustainable 11 percent annual spending increases induced by volatile oil and gas revenue are a thing of the past. Preventing out-of-control spending is important if we are to avoid economically-harmful spending increases that will harm New Mexico’s long-term economic potential. Limiting government growth to a sustainable pace is the single-best thing that legislators could do for the state’s economy. Now is the time for New Mexico to act to limit spending. I hope you will seriously consider it during the upcoming legislative session. State Personal Income 2006, http://www.bea.gov/newsreleases/regional/spi/spi_newsrelease.htm. US Census Bureau, “Number of People in Poverty 2006,” http://www.census.gov/prod/2007pubs/acs-08.pdf.